You may be able to avoid calling a plumbing professional by solving the plumbing problem. Before attacking a stubborn drain, reflect on what's causing the blockage to occur. Different types of material require different tools to remove the clog. 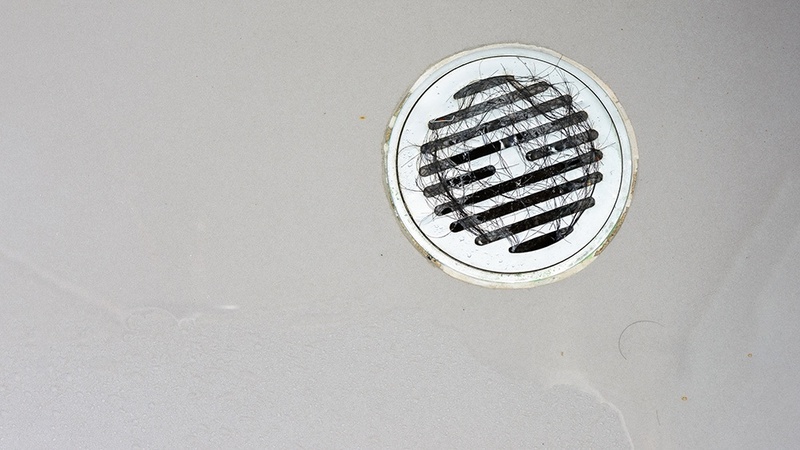 For example, if the drain backup occurs in the shower, hair build-up is the culprit. In this situation, a snake (referred to as a "Zip It") is valuable because it's infused with tiny barbs. This version of a drain snake yields better results. It's also important to understand the size of the drain. If the drain is 15 feet long, a shorter drain snake is ineffective. With drains, it's difficult to know where exactly the buildup is. A good rule of thumb is to use a snake that's longer than the drain. Use a snake that has a sharp corkscrew end to power through the blockage. Plunging isn't always easy. Subtle best practices are the difference between success and failure to unclog the drain. Use the right kind of plunger. A plunger with an extension flange is best for toilets. This round extension provides a seal over the toilet hole. For sinks, bathtubs, and showers, use a cup plunger. This plunger is flat on the bottom. In whichever case, the rubber end of the plunger shouldn't have any slits, cuts, or openings. Adjust the water level before plunging. If excess water is around the appliance, you'll make a bigger mess. Water is necessary for creating that vacuum seal, though. Ensure that the water level is high enough to submerge the cup on the plunger. Remove the air in the plunger cup. Air in the plunger cup causes a collapsing effect and doesn't help suction. Reduce this effect by ensuring that the plunger cup fills with water. This makes it impossible for air to get trapped in the cap. Ensure that the seal around the cap is tight. Any air leaking underneath the cap reduces suction power. Plunge. A correct plunging method is the most important step. When plunging, use vertical movements for the greatest suction. A tilt-in movement may also cause a slip in the plunger seal, which removes all power. Note: Never use chemical treatment before attempting to plunge. Plunging after the use of chemicals could result in chemicals damaging skin or eyes. Chemical treatment is useful for breaking up certain types of backups like food and grease. Chemical treatments vary depending on the type of clog. Whenever using chemical cleaners, read the instructions carefully and fully. Since chemical cleaning is dangerous, use home remedies for the same effect without the risk. Use boiling water or baking soda and vinegar. Before taking the bathroom apart, see if the sink and tub are also backed up. If everything's clogged, it's a blockage in the waste line. If so, turn off the water to avoid flooding. When looking at the toilet, notice that it's held in by two bolts on the bottom side of the trim caps. Remove these bolts. Once removed, lift the toilet and place it to the side. Roughhousing the toilet causes a break in the seal or extensive damage to the exterior. At this point, the waste drain is exposed. Clean the sealing ring and inspect the drain. If the clog isn't visible, use the snake again to find it. If you go through these measures and are still searching for the blockage, call a plumber. As humbling as it is, sometimes drains get the best of us.